Over 3 1/2 hours of footage! Categories: Educational DVDs : To watch "Sneak Previews", click on a title., Horse Gear: Prices include shipping to lower 48 United States. (Most gear is hand made by the Graef family.). 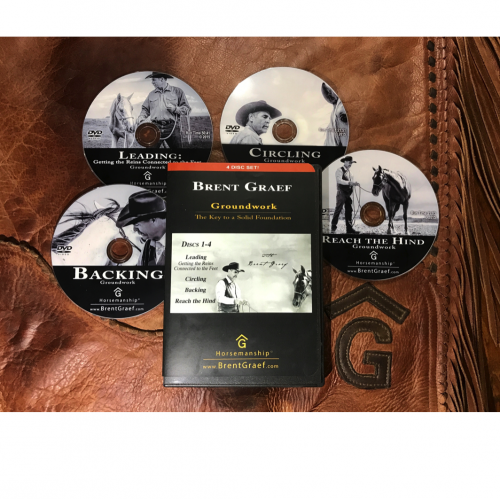 Tags: Advancing, bosals, Brent Graef, Cows, Foundation, Horsemanship, lead rope, rawhide, saddle pads, Texas, Young Horse Handling.